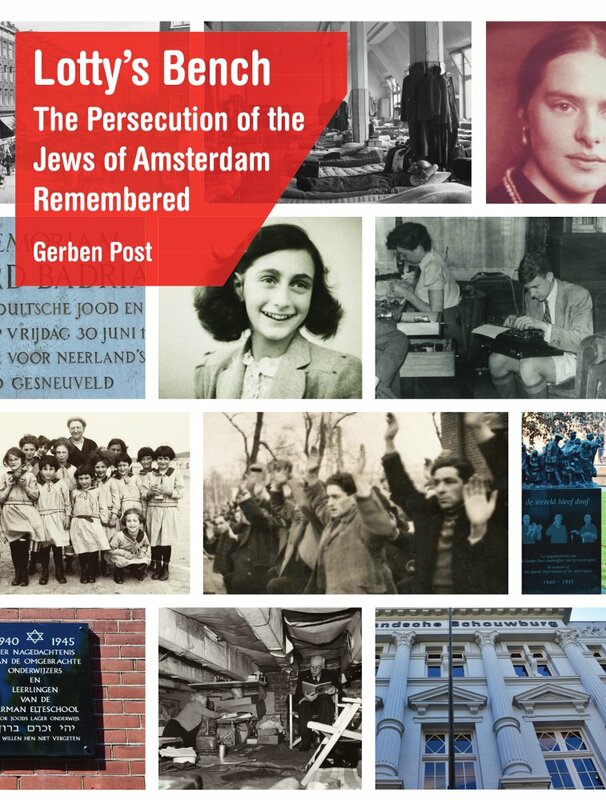 In 1940, there were approximately 140,000 Jews in the Netherlands. 80,000 of them lived in Amsterdam, about ten percent of the city’s population. More than 75 percent of them – men, women and children – were deported to the concentration and extermination camps and murdered there. In Amsterdam alone more than eighty monuments have been created that have something to do with the persecution. In addition, there are still many locations that tell parts of the story of the persecution of the Jews; Buildings, squares and streets that were once the silent witnesses of the darkest page in the city’s history. The stories behind monuments and locations come together In Lotty’s bench. 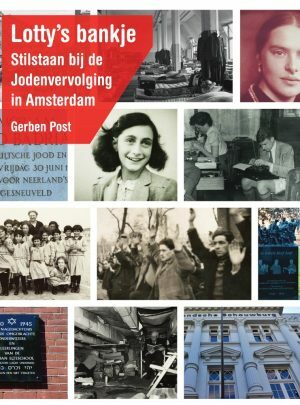 In 95 short stories it becomes clear how inextricably linked the city of Amsterdam still is with the history of the persecution of its Jews. August 26, 1945: Lotty Veffer arrived in Amsterdam. She was the only member of her family to have survived the war. Her parents and younger sister Carla had been gassed in Sobibor. There was no heartfelt welcome for her, and eventually she was forced to spend her first night back “home” in Amsterdamon a park bench on the Apollolaan. In September 2017, the then 96-year-old Lotty was honored with her own monument, a bench on the exact same spot where she had spent that first night. This is only one of the many locations in the city that continues to remind us of the persecution of the Jews. Lotty passed away on Friday July 27, 2018.